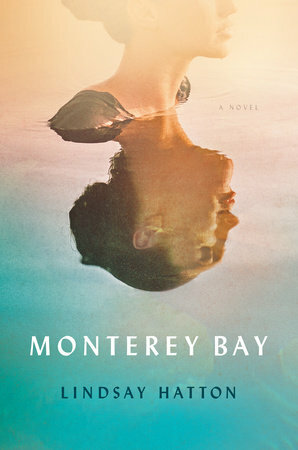 The Page 69 Test: "Monterey Bay"
Lindsay Hatton is a graduate of Williams College. She holds an MFA from the Creative Writing Program at New York University. She currently resides in Cambridge, Massachusetts with her husband and two daughters, but was born and raised in Monterey, California, where she spent many summers working behind the scenes at the Monterey Bay Aquarium. Oh man, this is crazy. Page 69 includes one of the most pivotal moments plot-wise in the book: the end of the scene in which my protagonist’s father basically throws her to the wolves. She wants to be thrown to the wolves, though, but doesn’t want him to know she wants it, so it’s a complicated interaction. This was a hard page to write. All those layers of intention, many of them completely or partially hidden. In that way, I think it’s absolutely representative of the rest of the book. One of Monterey Bay’s themes is about what’s happening behind the scenes: all the surprising internal forces that result in an external phenomenon or façade. The relationship between Margot and Anders is a façade that, in the course of the book, the reader will see crumble. This is the first major indication of serious structural instability, so to speak. This page also reminds me how hard it is to do good exposition. Creating prose that sounds beautiful and also moves the plot forward isn’t easy. Simplicity is often a good solution, and I think I did a decent job of that here. I like his white hair, the speck of herb on his lips. These are the sorts of small, telling details that, years down the road, I feel like Margot would remember. So yes: high-five to myself. I like page 69. Not too shabby. "The House at the Edge of Night"
"The Rules of Love & Grammar"
"Cure for the Common Universe"